Do you love to draw or colour? Hollyburn Properties has teamed up with long-term community partner, the North Vancouver City Library, to launch an exciting series of seasonal colouring contests engaging the theme of Me – My Library – My Neighbourhood. Did you know? Ten years ago, Hollyburn and the City of North Van were involved in a land exchange that allowed the construction of the new library and Civic Plaza, as well as established the site of Hollyburn’s very first new rental development, M2. The colouring contest is designed to introduce M2, the neighbourhood’s new rental community on the corner of 14th and Chesterfield, to the City of North Vancouver. Be a part of this emerging community by entering the Winter Colouring Contest, for a chance to have your artwork featured on site signage throughout project development! 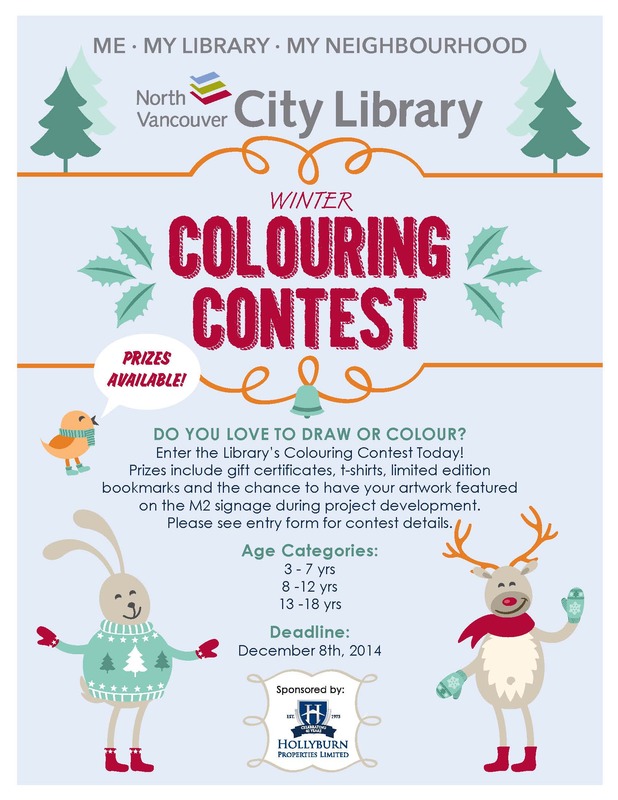 Download the Winter Colouring Contest Entry Form HERE. Previous Post Merry Christmas and Happy Holidays from Hollyburn!